How much packaging is too much? Is there a better way? I don’t know where I rank on the scale of dispensary customer frequency, but I go into dispensaries quite a bit. Even though I can roll my own joints, I like to buy pre-rolls fairly often because they are reasonably priced in my area and I like to mix up the flavors. I also have been known to buy some vape pen cartridges on the regular. I buy hash; I buy flower – you name it. If my local dispensaries sell it, chances are I have added that type of product to my collection. That’s one of the biggest benefits of legalization on the consumer side – being able to participate in the cannabis smorgasbord that has become a standard part of life in Oregon. But that buffet of consumer options, particularly the packaging that comes with it, is creating a growing problem. Garbage. I have kept almost all of the packaging and vape pen cartridges that I have acquired since I started frequenting dispensaries in Oregon, and it’s starting to turn into a massive pile. My average dispensary visit usually involves buying a vape pen cartridge, an edible, and a couple grams of flower. On a rare occasion I’ll pick up a topical as well if needed. Each item comes in its own packaging, which then goes into more packaging, and all of it with some labeling already on the package in addition to on-site labeling. That in itself creates a lot of garbage, but the new dosage rules in Oregon contribute even further to the problem. Adult-use edibles have a cap of up to 15 milligrams of THC, which isn’t a lot. 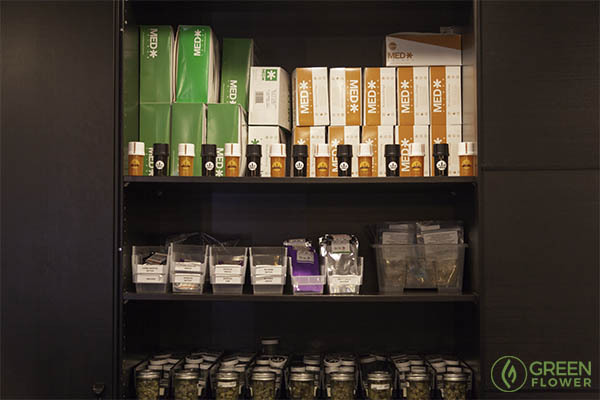 That small dosage may work for a newbie tourist, but most veteran cannabis consuming Oregonians need quite a bit more than that from an edible. As such, consumers are buying more than one edible at a time to get one ‘true serving’ that meets their needs. Each edible has its own wrapper, its own labeling, etc. Hence why I have so many wrappers in my pile of trash! Can we come up with a better solution? On one hand, I get that there needs to be regulations in place regarding dosage and packaging, but this needs to be better balanced with sustainability in mind. I like to think that Oregon is an environmentally conscious state, and it won’t be long until garbage dumps are full of empty vape pen containers. There needs to be some type of refillable model that is allowed in states that have legal cannabis. I can bring in an empty jug and get it filled at microbrewing companies and bars all over the state of Oregon. Why can’t I bring in my own nug jug and get it refilled with flower? Why can’t I just get the important testing and potency information on a print out (or even better yet electronically) and consider it a done deal? Why do I have to have so many layers of packaging just to buy a gram of hash? Or even worse, to buy four infused taffy’s that are considered to be four separate units in the eyes of the state, but are in reality just one taffy for the purposes of many consumers? What do readers think? Do you have an ever-growing pile of cannabis packaging trash? Do you agree that there has to be a better way? If so, what?